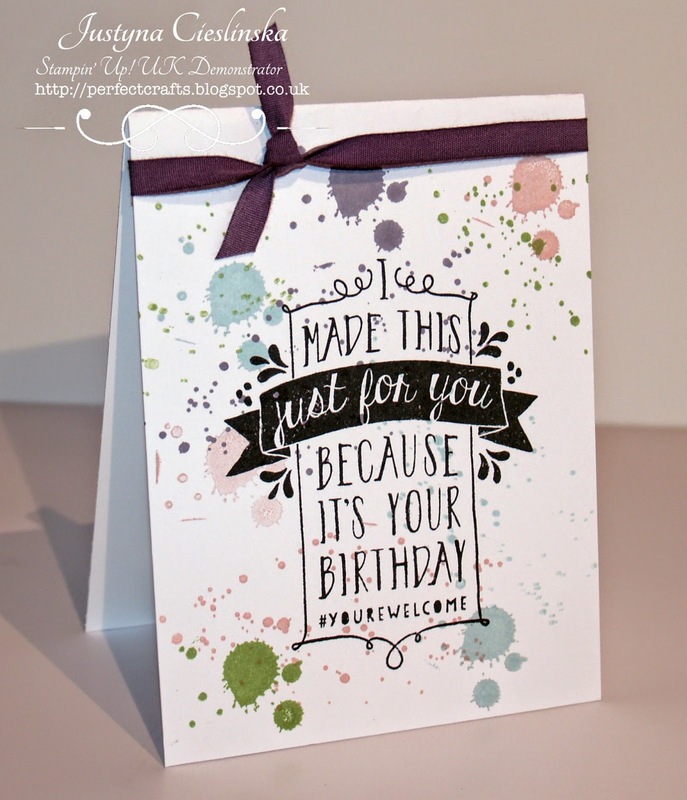 Balloon Bash, Gorgeous Grunge, Occasions Catalogue 2015, Stampin' Up! I fall in love with the Gorgeous Grunge Stamp Set. I’m using this set every day now. Today I created simple and elegant Birthday Card. I stamped images on Whisper White card stock. I coloured the Whisper White Cotton Ribbon with Wisteria Wonder Blendabilities. Stampin’ Pads I used are Wild Wasabi, Soft Sky and Blushing Bride. For the Ballon Bash image I used Tuxedo Black Memento ink pad. Very pretty card, I love that grunge stamp set, too!! Thank you for joining us at "The Shabby Tea Room" for our "Mason Jar Love" challenge! I love your card, it's perfect for our current challenge.